Here at The Amazing Blog we all are big pet lovers. Our lives would be half empty if we didn’t have our little furry friends with us. Dogs, cats, rabbits; they’re all part of the family and naturally, when December comes, we put all the effort we can into finding them the best present ever. With our suggestions, your best friend will be totally spoiled this year. I think we can all agree that Christmas is a snuggly time of year, but why should that just apply to us humans? Help your pooch to get cosy with a new blanket from The Stylish Dog Company. They have a huge selection and we’ve never seen anything more stylish and comfy for our pets. Their collection of Fur Dog Blankets are available in a range of colours, from the lightest cream to a darker chocolate, offering an option to match your decor. Whether you own the smallest Chihuahua in the world or a mastiff, The Stylish Dog Company created 4 sizes of blankets to suit every dog. We didn’t mention cats but we are 100% sure they’ll love it too. All the blankets are available here for £49. If accessorising is more your thing, this year you can do something special for your dog and for hundreds of other puppies by customising a unique identification tag from Hashtagdogtag. They support Pup Aid, which helps to fight against puppy farming. With an impressive array of tag styles to choose from, including various shapes, hashtags, materials like brass, aluminium or copper and sizes from small to large, you're sure to find something to suit your pup. Find out how to create a bespoke treat for your pet here, from £14.50. We all know that dogs aren't just for Christmas, and Ruby and Duke offer the perfect year round present for your canine pal in their monthly boxes. After all, why should we be the only ones to enjoy the fun of subscription boxes? On Ruby and Duke's website you can activate the best plan for you. If you’re not sure, start with a 1 month subscription and once you realise your dog loves it, you can go for a 3 month subscription or even 1 year (that's next Christmas sorted too!). Every box is packed to offer the right amount of fun, with products always safe and created for your dog welfare. Usually a box includes 4-6 food items and toys approved by professional…dogs. The price is very affordable, from £20 for a month, £18.50 per month for 3 months and £17 for the whole year. Sign up and order your box of canine goodies here. This year, it seems as though we're going to have more of a 'Wet Christmas' than a 'White Christmas', and Long Paws offers the perfect gift for those fussy pets who would rather not get their fur wet - MacPaws. Special raincoats that can be easily folded and kept in a small bag, they're practical and look super cute too. Pack it up before a long walk, just in case, and once dirty, just pop it in the washing machine. Available in 6 sizes, their colours are so pretty, we’d love to have some human sizes as well! Keep your dog warm and dry, and pick up your own MacPaws here for £7.99. It's all weel and good buying your dog lots of material treats, but understanding their needs is also crucial to having a happy pooch. Thankfully, Tony Cruse, dog lover and dog trainer, wrote a little manual to help us out. With ‘101 Doggy Dilemmas’ he teaches how easily we can misunderstand our dog’s signals. From the reason they destroy the garden, to why they like to chase the postman, this book is a valuable support not only if you’ve just decided to get a puppy, but also to improve the behaviour of a long time family dog. It is available in kindle edition and paperback for £2.99 or £7.99 here. With these sweet gift ideas, Christmas is sure to be a wonderful time for all of the family, even our lovely canine companions. There's no question that our dogs become a part of the family; we tend to treat to them as equals in every way but one, their beauty routine. Here at The Amazing Blog, we wanted to find a natural ‘Furcare’ product range that is catered to the furry need of all dogs. WildWash have come to our aid with their range of natural skin and coat care for pets. We were lucky enough to receive the Deep Cleaning Shampoo, Fragrance No.3 Perfume and Healing Paw Balm to try on our pampered pooches. There is confusion on the dos and don’ts when cleaning our dogs - I’ve often heard that most regular pet shampoos strip their skin of natural essential oils. The problem is that my dog, like so many others, will find any excuse to dirty himself. Mud? Rolls in it excessively. Puddles? Dives in head first. There is no other choice but to wash him, but WildWash shampoos are innovative in their focus on keeping the PH balance natural. The Deep Cleaning Shampoo contains Soybean Phospholipids, Neem, Aloe Vera and Sea Kelp; all of which give the coat a deep conditioning and nourishment, as well as being natural flea deterrents, and having anti-inflammatory/antiseptic properties. There is so much goodness packed into one highly fragrant shampoo. The Peppermint, Rosemary and Lemongrass scent is beautiful and neutralises even the stinkiest of canines. For the stages in between washes that we find our dog’s odour rather pungent, you can use WildWash's range of unique, PH balanced fragrances. That’s right, perfume for our pooches! After all, we want our dogs to smell fresh, clean and delicious all day long. The scents are all natural and plant-based, and we loved the gorgeous Sweet Orange scent with a hint of Coriander and Cedarwood. Once sprayed on the fur it gave a warm and spicy aroma, which didn't irritate the dog either, which is always a concern. Last, but not least, we tried out the Paw Balm, designed to protect our doggies from the many external conditions they have to endure. The Sweet Almond Oil used within it is high in Vitamin E, we were surprised how well it moisturised the pads and kept them soft to the touch. Every product has passion and thought behind it, so give your dog the perfect fur day and get yours here for £14.95 for the Shampoo and Fragrance and £12.95 for the Paw Balm. Attention all animal lovers! The Zoological Society of London will be hosting its first Pooch Parade sponsored dog walking event in London on Sunday 22 March and this is also your chance to participate in a great cause. The 2.5 km walk through Battersea Park is raising funds for ZSL’s Lions400 Campaign. The campaign aims to raise £5.7m to create Land of the Lions, a new state-of-the-art lion breeding centre and exhibit at ZSL London Zoo, as well as extend vital conservation work in India where only 400 Asiatic lions are left in the wild. To participate in this event, you can register your dog here for £10, plus a pledge to raise £40 per dog for the Lions400 campaign. Each dog can be accompanied by up to four walkers. Each participating pup will receive a special doggy bag and a medal to show off when they complete their walk. 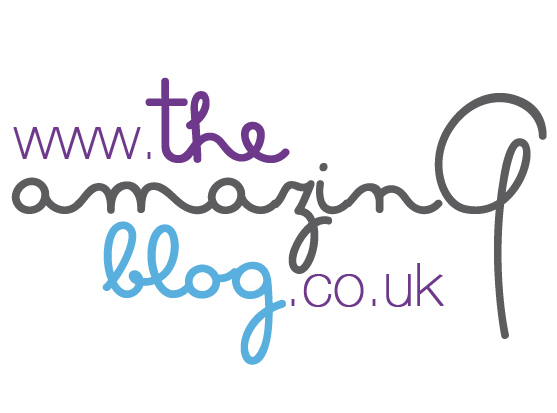 Places are very limited so that's why we at The Amazing Blog are giving you the 'heads up' at least a week in advance. Even if you don’t have a four-legged friend to register, this is a great event to come out and watch. The event gets up and running at 10 a.m.